The Hubley Manufacturing Company was incorporated in 1894 in Lancaster, Pennsylvania by John Hubley and produced toys throughout its history. Early Hubley production consisted of many cast iron toys including various horse drawn vehicles, guns, and household objects such as doorstops and bookends. 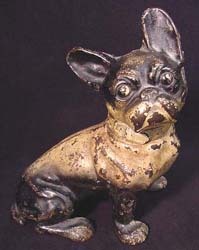 Many of their cast iron objects were dogs, and they are highly prized by collectors today. With the automotive age, cars, trucks, and other transportation became their focus. 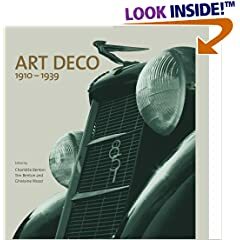 The Hubley Company made accurate metal replicas of Model A Fords and other cars for many years; for example, there are 7 Model A Ford body styles alone: Sedan, Station Wagon, Coupe, Roadster, Roadster Pickup, Victoria, and Phaeton. Though mass produced, Hubley toys and doorstops were painted by hand, so each has become a unique treasure appreciated both for its subject matter and the “folk art” quality of its paint, form and design. After WW II, die-cast zinc alloy models for the most part replaced the cast iron ones. In the casting process at Hubley, metalworkers would carve out a form of wood, or hammer the doorstop or toy design out in metal. The form was then pressed into finely compacted sand, making an impression. Cast iron heated to 3000 degrees was poured into the sand mold and, when cooled, the form would pop out and rough edges were filed off. In the decorating department, painters applied a base coat (usually white or cream but sometimes black) to the doorstop. Then, colorists used a variety of hues to highlight important details, usually only on the side that would face toward the room. Many doorstops bear identical color schemes, suggesting that decorators may have copied a model finished by a master artisan. A well-cast iron doorstop will be smooth in texture. Small chipping of paint is acceptable, but there should be no repainting of an antique item. Hubley doorstops have been bringing record setting prices in recent auctions have drawn the attention of folk art collectors, as well as decorators, and of course, doorstop collector enthusiasts. 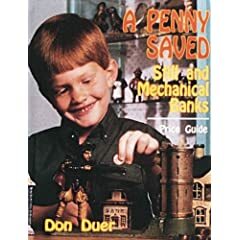 As such, Hubley doorstops and toys are being reproduced, so it is important that collectors educate themselves and seek out experienced collectors and dealers. Older doorstops usually have a smoother, more refined casting, while reproductions are rougher or pebbly. Seams in the casting, if any, are usually tighter on the original doorstops. Reproduction doorstops cast in 2 or more pieces are usually assembled with Phillips-head screws, while the originals used slotted screws. The mold marks in old casting were generally ground off by hand using a file, while reproductions are cleaned up using power tools and tumblers, leaving coarser grinding marks. Look carefully at the wear patterns on the doorstop, and remember most old doorstops were used for their original purpose of holding doors open. Therefore, look for wear in the logical places – at the top where it was handled and around the base. There are 3 tips you should keep in mind when assessing vintage and antique doorstops and other cast iron toys from manufacturers such as Hubley and Bradley & Hubbard. First, the better the condition, the higher the likelihood that the doorstop will retain and increase in value over time. Second, doorstops with outstanding form, character, sculptural quality and folk art appeal are in demand among collectors, all of which cause the price to go up. Finally, look out for the rare or unusual examples. In some cases, the original production run was low because the designs failed to find a market, because they were too costly to produce, because the foundry was in business for a relatively short time, and sometimes just due to poor quality or design. Hubley Manufacturing Company was bought by Gabriel Industries in 1965 and disappeared from the market shortly after the take-over. Buy period Hubley, Bradley & Hubbard, and other period bronze and metalware on the Collectics Bronze & Metal and Fine Antiques pages, or search the entire site for great antiques, collectibles, and crafts for every collector!